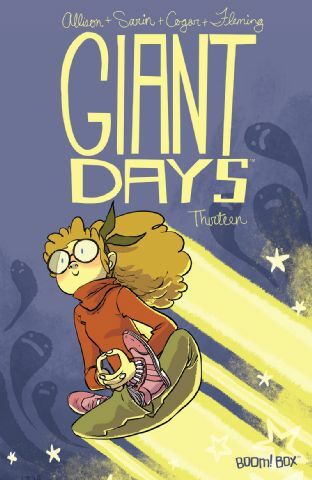 Several months back I started an Instagram account (@books4yourkids) with the intentions of sharing my book reviews there. 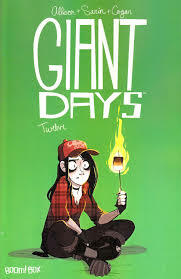 It turned out to be very time consuming and it has morphed into posts about what I want to read, what I'm deciding between and fun stuff from my school library. 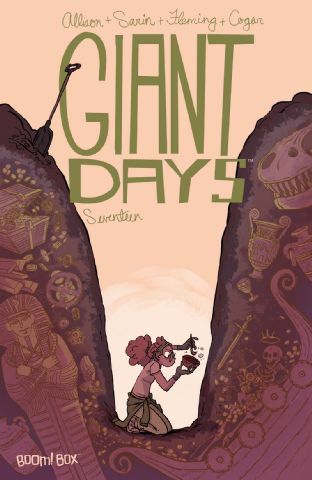 Being a very visual person, I have found a few feeds with really stunning pictures of books as well as books and illustrators new to me. 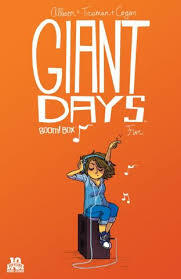 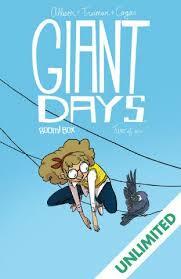 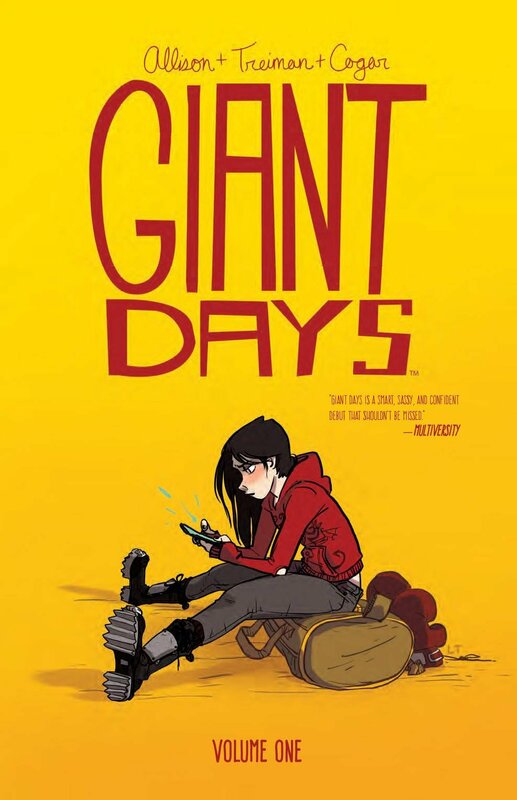 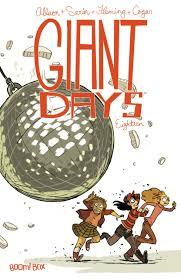 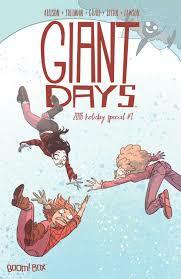 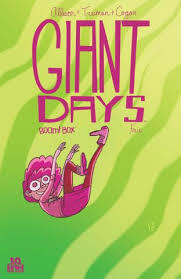 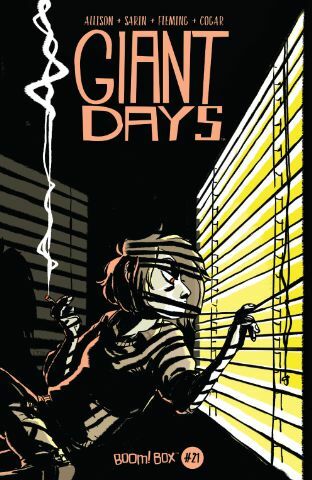 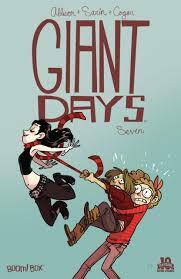 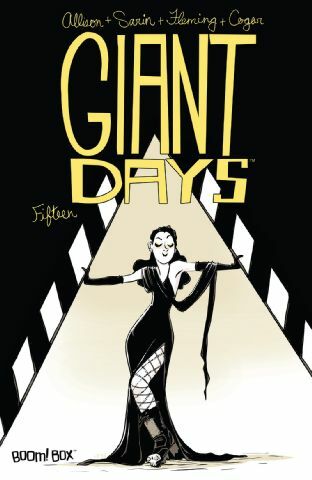 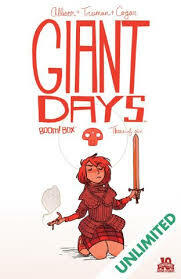 I discovered Giant Days by John Allison and Lissa Treiman at Laci Long's feed, @bookpairings, where she listed a character from the series as her fictional crush of 2016. 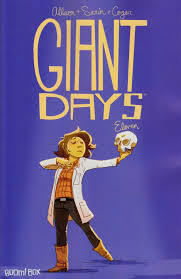 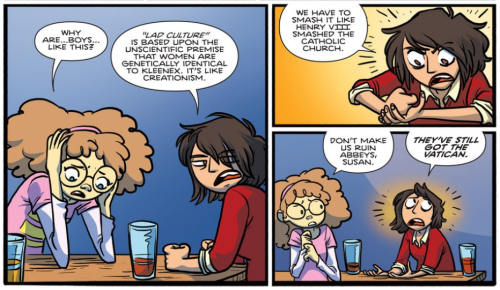 I was feeling a bit tired of kid's books but not wanting to dip a toe into the serious world of adults, and Giant Days hit the spot, precisely. 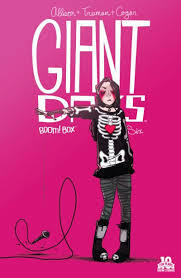 In fact, the moment I finished reading Volume 1, I bought Volumes 2 & 3. 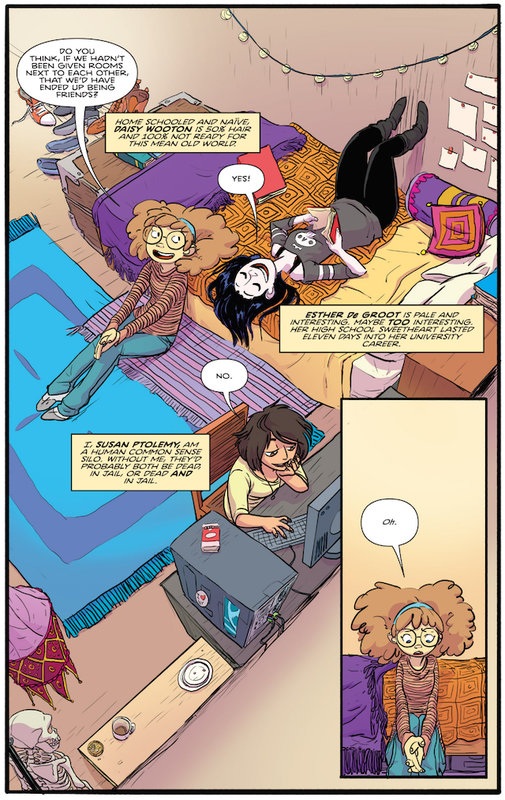 When the graphic novel begins, we meet Daisy Wooton, Esther deGroot and Susan Ptolemy, three weeks into their freshman year at university in England. 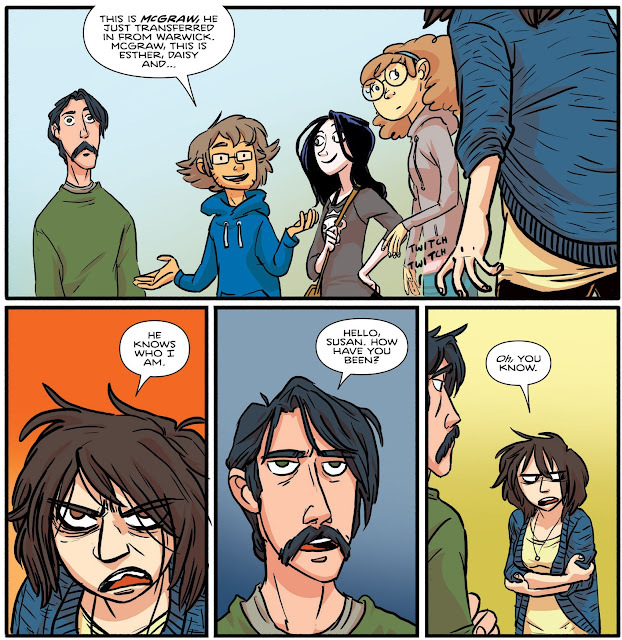 All different - Daisy was homeschooled and is innocent and naive, Esther is edgy and a bit mysterious and Susan is practical, if often disgruntled - but the immediate acceptance and strong bond that is created amongst strangers at college is evident and instantly believable. 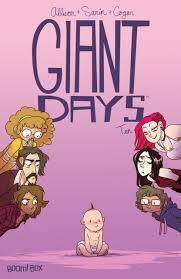 Of course this graphic novel series is going to be about relationships, romantic and platonic, and relationships that start (and end) at university are always interesting. 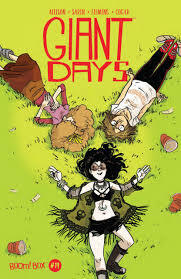 In Volume 1, the person Susan hates most in the world shows up on campus, the girls get the flu, Esther finds herself on a college "lad" website where she ranks third hottest first year and Daisy turns eighteen, making her legal for all things in the UK. 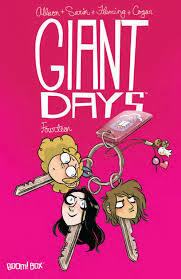 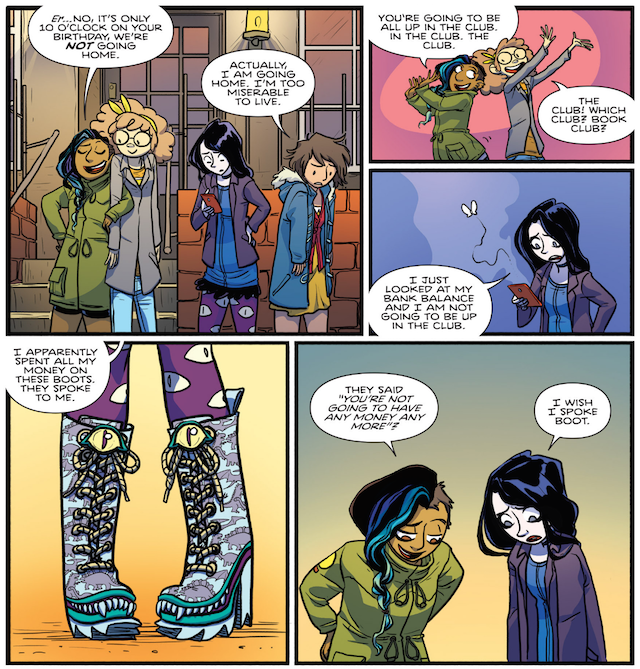 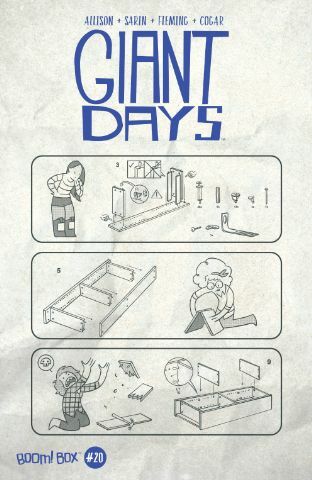 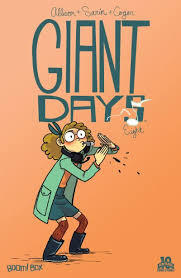 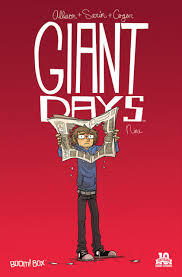 With Volume 2 of Giant Days, Welsh illustrator Max Sarin takes over from Lissa Treiman and I can't wait to see the changes!